The gangster movie is one of the most popular genres in film. From the Italian, Irish, and Russian вЂњfamiliesвЂќ in America to similarly sinister groups in Europe, Japan, and beyond, the cinema has never shied away from portraying the evil exploits of these brutal outfits. In this highly entertaining and informative book, two accomplished and apropos authors put the genre in perspective like no other author or documentarian has done before. 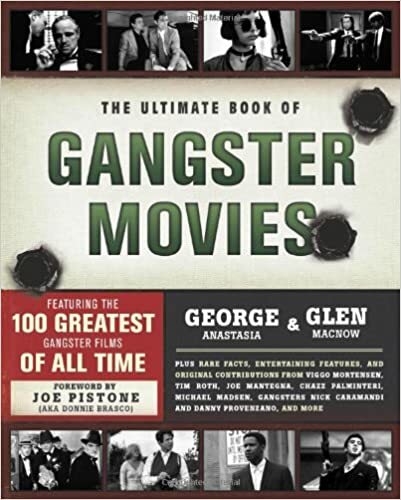 The Ultimate Book of Gangster Movies provides extensive reviews of the Top 100 gangster films of all time, including sidebars like вЂњReality Check,вЂќ вЂњHit and Miss,вЂќ вЂњI Know That Guy,вЂќ вЂњBody Count,вЂќ and other fun and informative features. Also included are over a dozen stand-alone chapters such as Sleeper вЂњHits,вЂќ вЂњFugaziвЂќ Flops, Guilty Pleasures, Lost Treasures, Q&A Interviews with top actors and directors (including Chazz Palinteri, Michael Madsen, Joe Mantagna, and more), plus over 50 compelling photographs. Foreword by Joe Pistone, the FBI agent and mob infiltrator who wrote the bestselling book and acclaimed movie, Donnie Brasco.